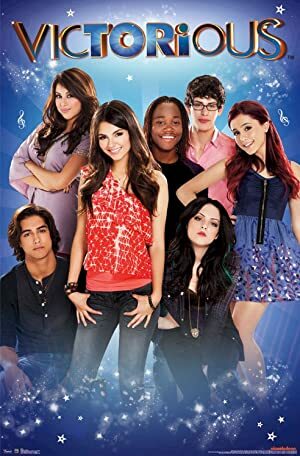 Victorious – Season 3 (2013) – What's New on Netflix Canada Today! Life is about to change in a big way for 16-year-old Tori Vega. After years of living in her older sister’s shadow, Tori has been invited to attend Hollywood Arts, a high school with a focus on the performing arts. While the invitation came as a surprise — she’s never thought of herself as particularly talented — and she still has to deal with being the new kid on campus, Hollywood Arts may just give Tori her chance to shine. Sikowitz assigns the gang “Secret Santas” in order to get them into the holiday spirit. Tori tries to find the perfect gift for Andre; Trina asks Robbie to help decorate a giant Christmas tree; Beck suffers from lack of sleep due to an annoying cricket in his RV; Andre has a hard time dealing with the fact that he got a “D” on his assignment for his creative music class. Interviews, bloopers, and outtakes from the series. After a lunch mishap, Tori, Andre, Robbie, Beck, Jade, and Cat are forced to spend Saturday in detention.